Step by Step Instructions - Fun and easy to follow with Bruno the Bear as your guide. Dorset Horn Wool - Cream in colour with a crisp, robust texture, used to make Roly’s body. Merino Wool - Beautifully soft and in different colours. Used to make the outer layer of your Roly including his eyes, arms and legs. 2 Felting Needles - The needles included in our kits are multi purpose and can be used for all levels of needle felting. They are extremely sharp and should always be handled with care. Foam Block - This provides a safe surface to needle felt onto. We call it ‘Awesome Foam’ it's the best we have ever used! 2 Black Beads - The beads give your Roly’s pupils an extra bit of POP! (Using the beads is entirely optional. 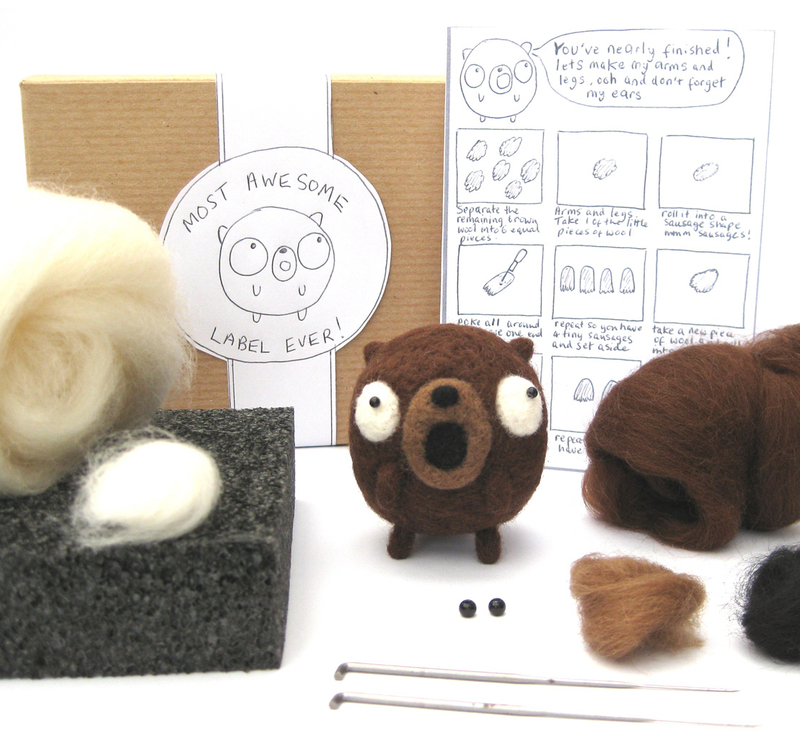 You may prefer to needle felt the pupils directly onto your Roly's eyes using a wisp of the black merino wool provided in the kit, we always add in a little extra. Sewing Needle and Thread - For attaching the beads. Needle Storage Tube - A safe place to keep all your needles.